Mirrors add a beautiful sense of style to any space, but sometimes it’s difficult to find the right mirror at the right price. 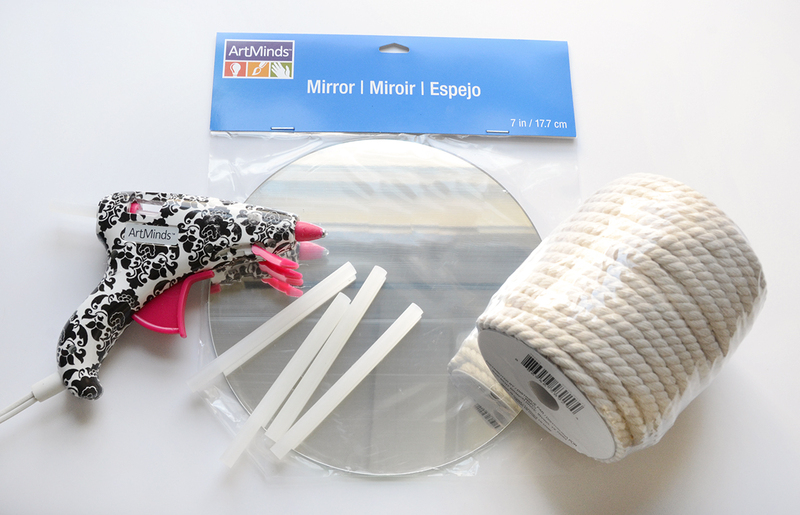 So today I thought I’d share a super easy DIY mirror that is made with rope and a glue gun. 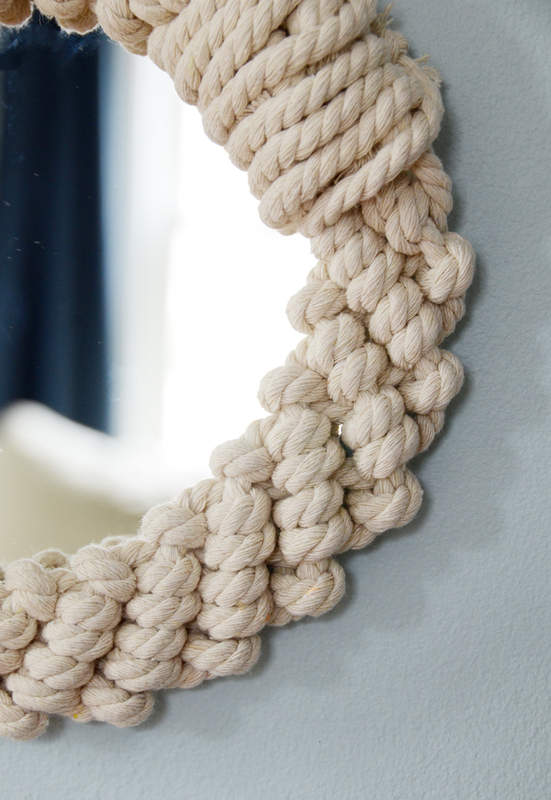 It has a wonderful nautical feel, and it won’t take more than an hour or so to make. 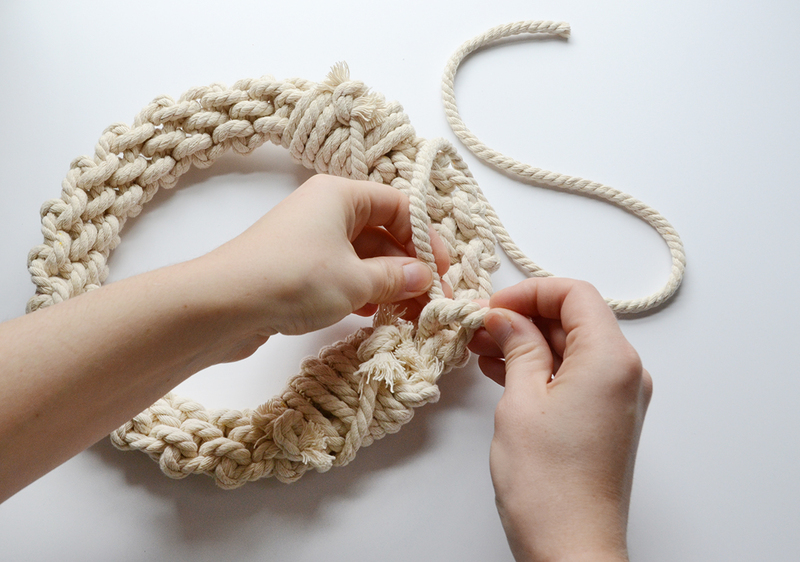 Begin by cutting four pieces of rope that are 4 yards long each. 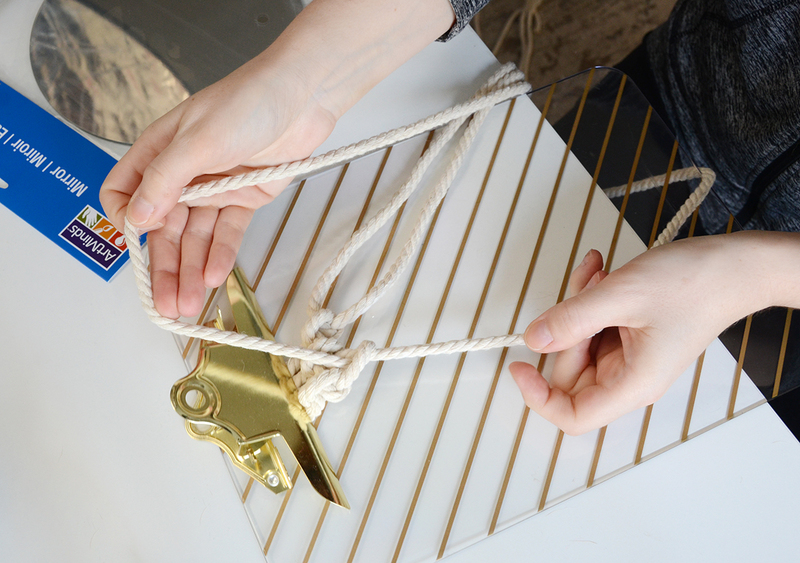 Clip the four ends to a clipboard leaving about three inch tails and then begin knotting them the way you would a friendship bracelet. 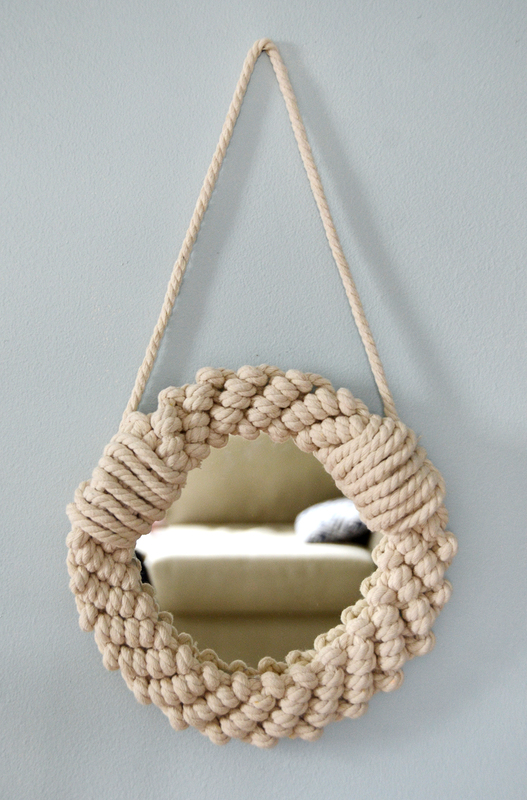 Continue knotting until it can be wrapped around the outer edge of the mirror and meets back at the top. Tie all four tails to the four tails at the other end so it forms a circle. 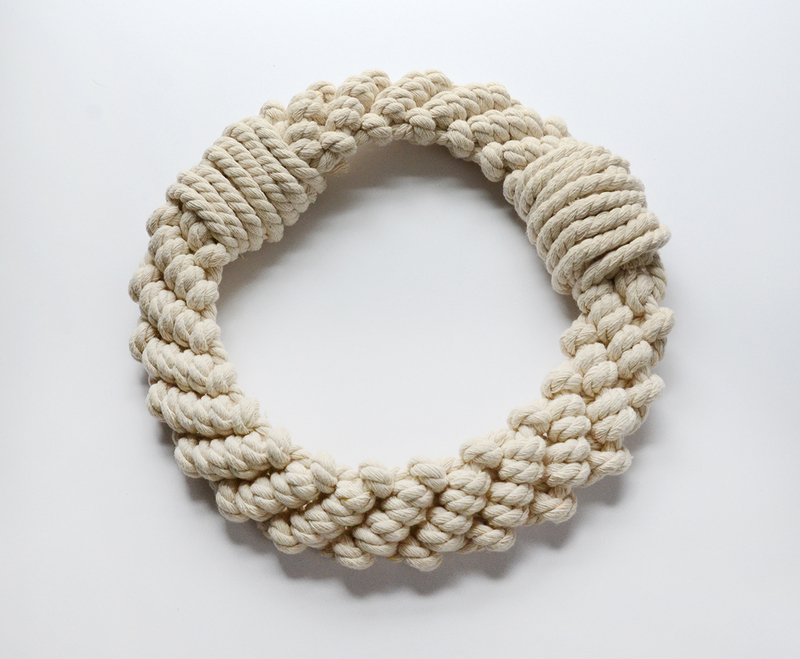 Cut two more pieces of rope that are about 2 feet long and wrap them around the circle as shown above. Knot them on the back so they stay put. 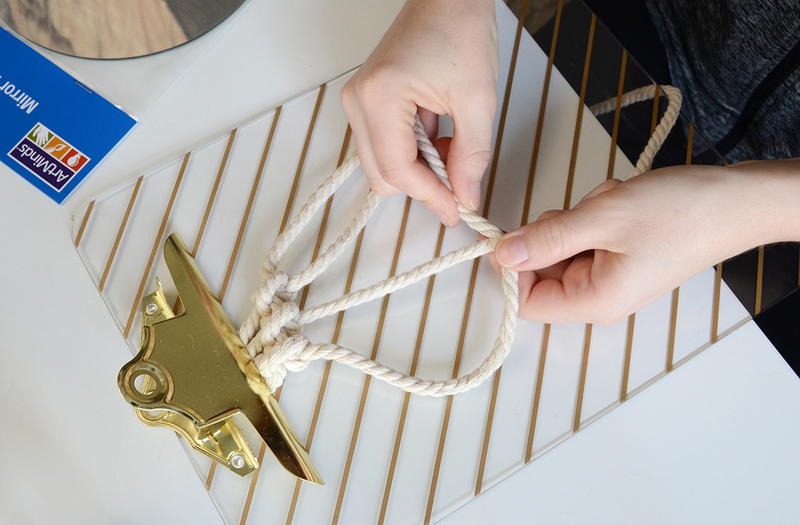 Cut one more piece that is about two feet long and knot it where you just wrapped the other rope on both sides. This will be the hanger. 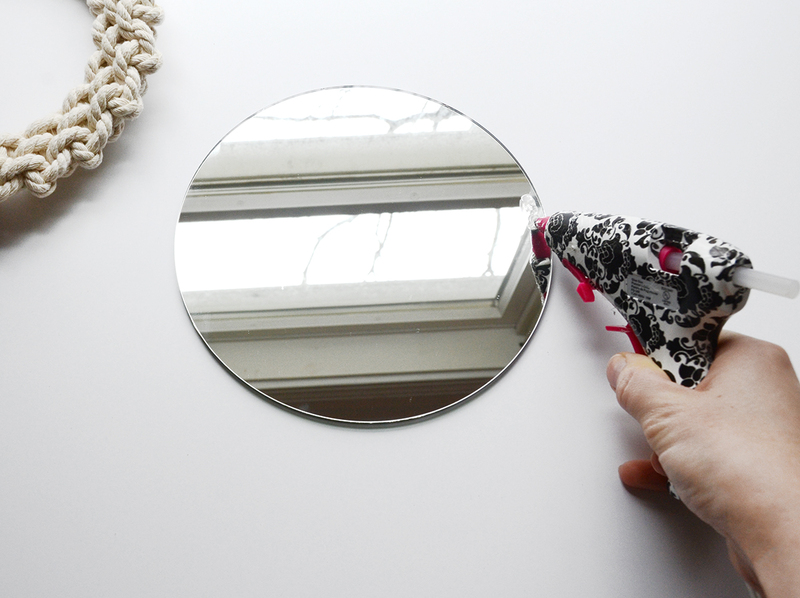 Use the glue gun to attach the circular rope piece to the mirror. Work quickly so the glue doesn’t cool off and dry. And that’s it, you’re finished! That was easy, wasn’t it?! 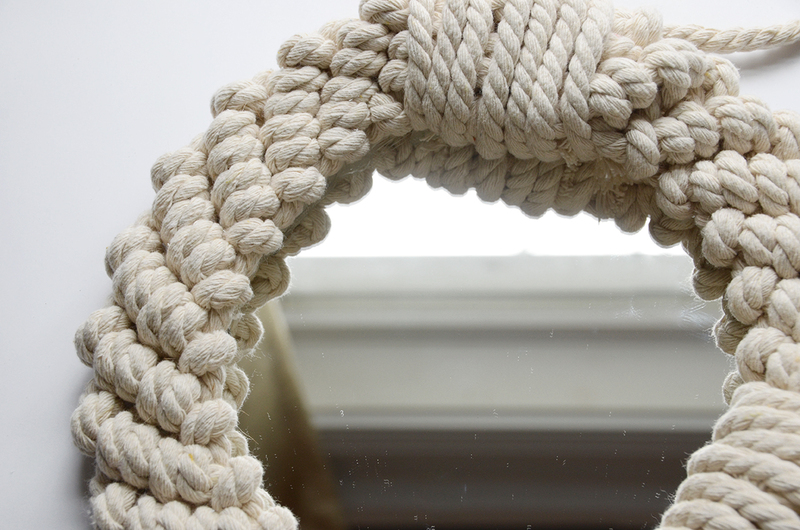 Isn’t the knotting pretty? 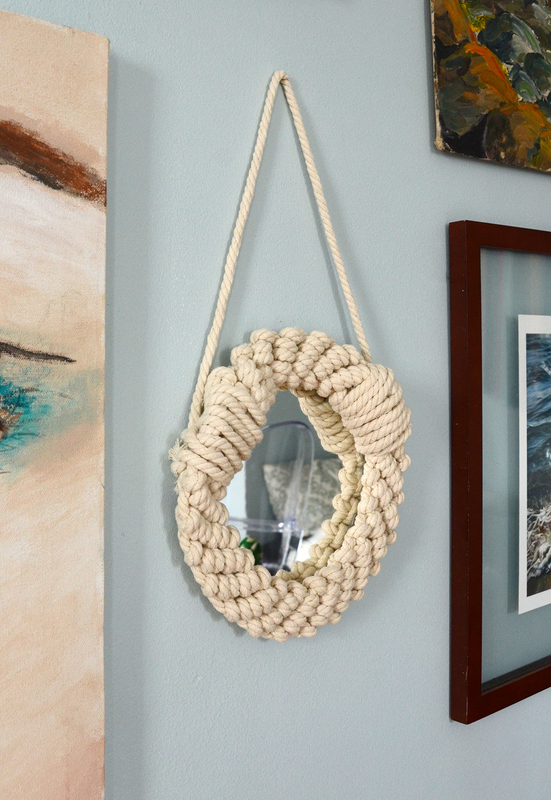 It looks great on a gallery wall, or even in a powder room. Happy crafting everyone!